The Supreme Court in Om Prakash Singh v. State of Bihar has reiterated that a subsequent complaint would be maintainable if there is the discovery of a new fact after disposal of the first complaint. Ira Sinha had lodged a complaint against Logotech, from whom she had bought purchased a random access full- automatic analyser model “Miura 200”. The crux of the complaint was that the model was not functioning properly and regular problems were being faced in the use of the said machine and that officials of the Logotech were not paying proper attention and care, though several repeated complaints were made by the purchaser. A charge sheet filed under accusing the company of offences under various provisions of Indian Penal Code was quashed by the Patna High Court. Ira Sinha contacted the manufacturer of “Miura 200” model, Logotech, Rome, Italy, with her grievances. In the depth verification of the machine by the technical service expert, as directed by the manufacturer, it was found that the original parts of the machine have been replaced by duplicate parts, causing inaccurate results. The service expert issued a service report. Allegation in the second complaint was that the officials of Logotech, having come to know about such service report against them, started threatening the purchaser (Ira Sinha and her husband) to return the copy of the service report to them. It was also alleged that they even threatened with dire consequences of taking away their lives. According to the complaint, the officials even tried to shoot them and allegedly tried to take back the service report from their possession. On the petition preferred by the accused, the high court quashed the order of the CJM taking cognizance of the mainly on the ground that the earlier order of taking cognizance was quashed. 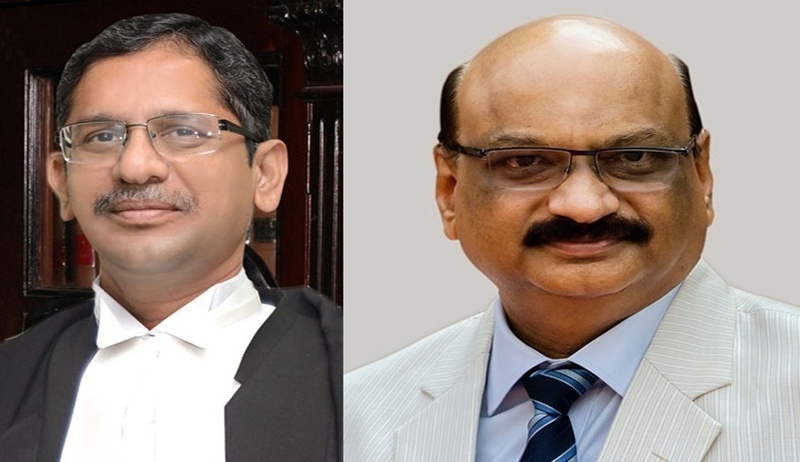 A bench of Justice NV Ramana and Justice M Shantanagoudar observed that it is an error to conceive that the proceedings based on the subsequent complaint were liable to be quashed merely because the earlier criminal proceedings were quashed. It also observed that the FIR is thrust upon discovery of a new fact of replacing the original parts with the duplicate ones. “Thus, it is clear that the subsequent complaint dated 05.08.2012 is based on new set of facts and a new set of allegations and not based on old set of allegations as have been made in the FIR dated 24.03.2008. It is needless to repeat that the FIR dated 24.03.2008 was based on the allegations of non-functioning of the machine in addition to delay and carelessness of respondent nos. 2 and 3 in getting the machine repaired. At that time, the appellant and his wife were not aware about replacement of the original parts with the duplicate ones. The Service report of “Key Pharma Limited” was not in existence at that time,” the bench observed holding that the CJM was justified in taking cognizance. The bench also quoted from Udai Shankar Awasthy v. the State of UP, wherein it was held that “the law does not prohibit filing or entertaining of the second complaint even on the same facts provided the earlier complaint has been decided on the basis of insufficient material or the order has been passed without understanding the nature of the complaint or the complete facts could not be placed before the Court, or where the complainant came to know certain facts after disposal of the first complaint which could have tilted the balance in his favour. However, the second complaint would not be maintainable wherein the earlier complaint has been disposed on full consideration of the case of the complainant on merit”. Setting aside the high court order, the bench said the complainant came to know certain facts relating to the replacement of parts of the machine after the disposal of the first complaint, that too after getting a service report, and therefore there is no bar for the appellant to lodge second complaint.